If you’re really serious about transforming your life now, make sure that you hop on the meditation bandwagon. Doing so will empower you to think more critically and creatively while simultaneously improving your concentration levels. In addition to improving the quality of your thought life, regular meditation is known to decrease anxiety levels while also boosting immunity. One big key to success with using meditation as a modality through which to transform is finding a methodology that will really work for you. Note that everything doesn’t work for everyone, so just because one individual attained high levels of success with the breath-based modality doesn’t mean that this is the ideal approach for you. Some of the other modalities you may want to consider using include the visualization method or the mantra. 2. Develop A Strong Yoga Practice. Millions of people around the world have tapped into the power of using yoga to transform their lives. 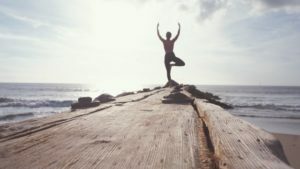 Whether these individuals heal diseases, increase energy levels, lose weight or accomplish some other mode of transformation through their yoga practice, the result is the ability to continually change in a productive, positive way. Thus if you’re serious about making transformation a real thing in your life, you should definitely consider the value of joining a local yoga studio. In addition to helping you build a strong, personally transformative practice, joining the studio can empower you to connect with other people in an authentic manner so that you have a community that you can always come to for the purpose of engendering real, positive change. 3. Eliminate Processed Foods From Your Diet. One final strategy that can really expedite and optimize your transformation process is eliminating processed foods from your diet. Taking this step will empower you by reducing your susceptibility to unwanted psychosomatic conditions such as brain fog, compromised immunity, weight gain, and mood instability. Each of these factors can detract from your energy levels and preclude you from maintaining the level-headedness necessary to make decisions that will lead to perpetual growth. Note that there are many, many strategies you can implement to work processed foods out of your life. One is simply clearing out your cabinets and refrigerators. You can either throw the items away or donate it to a local food pantry. As you embark on your journey into optimal eating, make sure that you are constantly learning more and more about which foods you should consume to ensure that you look and feel your best. Note that you can read an article like The Big Fat Surprise by Nina Teicholz to learn more about saturated fat and what research is now saying about the role it may (or may not) play in causing heart disease. Once you realize that you want to get and remain on the path of perpetual transformation that entails great outcomes like self-actualization and professional progress, it’s time to put a plan together. Utilize one, two or all three of the strategies for transformation outlined above to keep yourself on track to perpetual change.